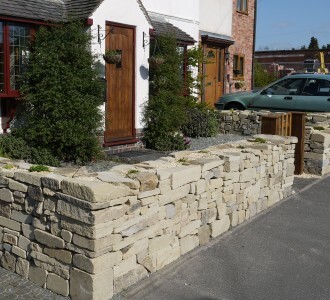 Artisan natural stone walls built in the traditional style with local stone. Rates vary depending on the type of work; for example, the size and height of the wall, the terrain and whether foundations are required. I have a basic rate for gapping and repairing. 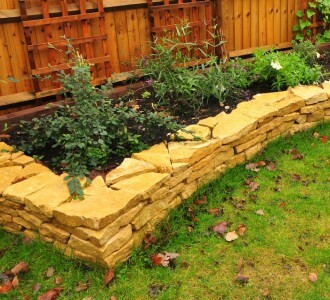 Clients who do not provide the stone on site need to take into account the cost of buying and transporting stone. 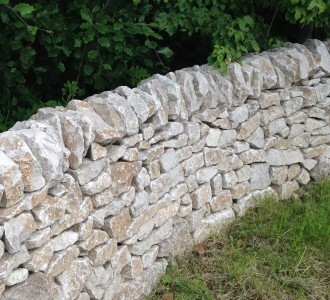 I can source quarries and provide quotes for stone. I guarantee helpful and reliable service. Site kept safe and tidy at all times.